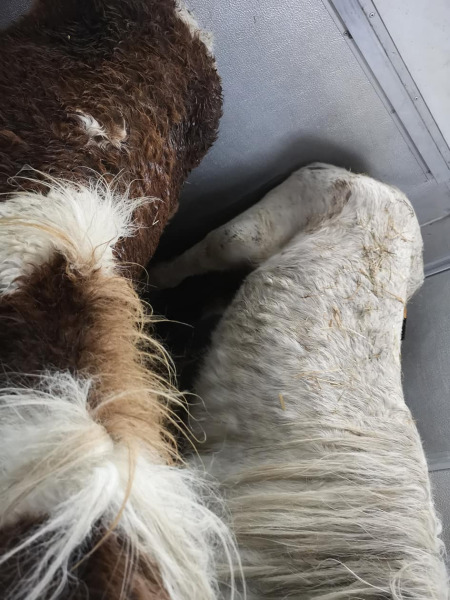 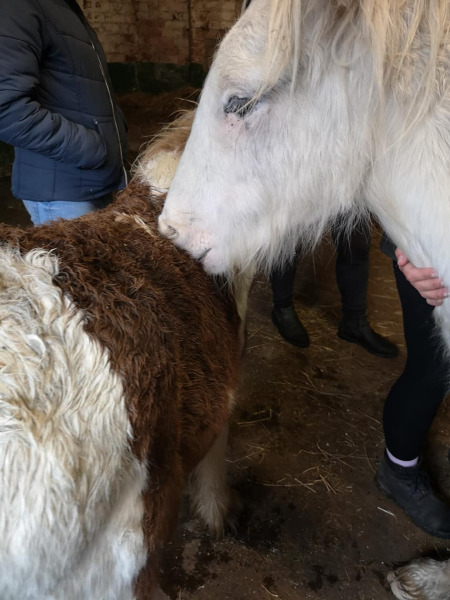 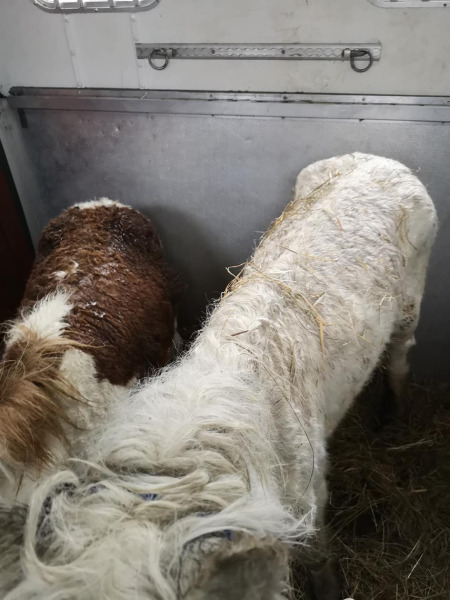 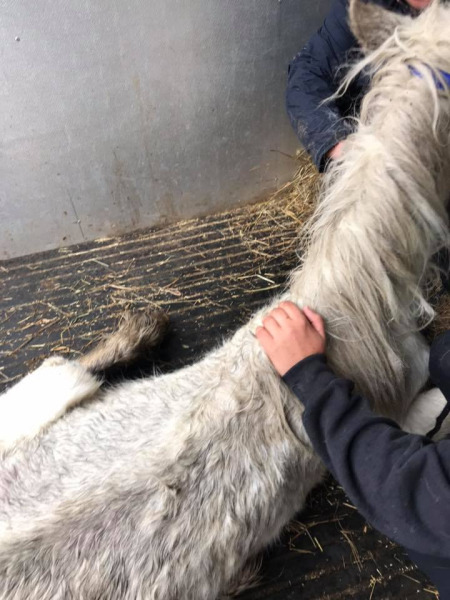 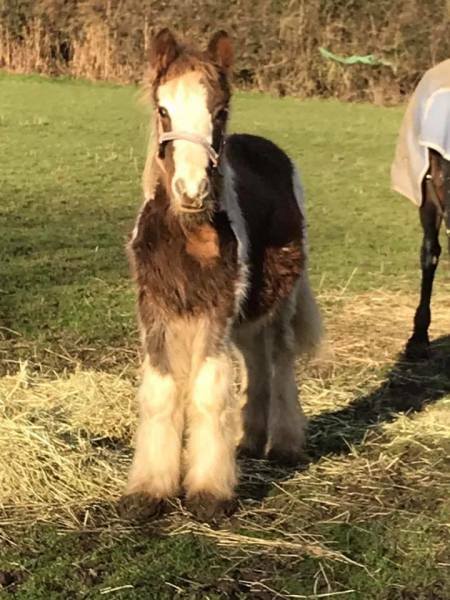 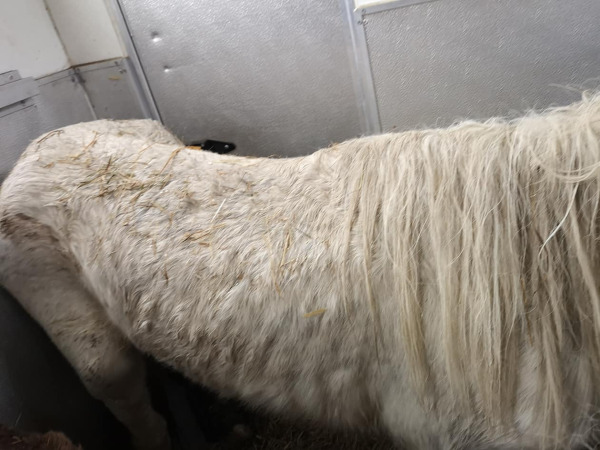 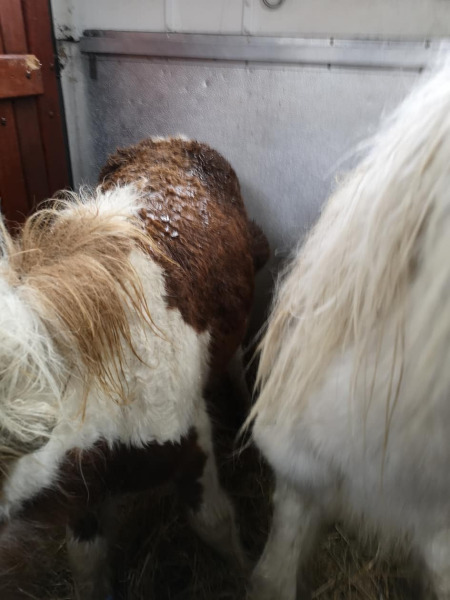 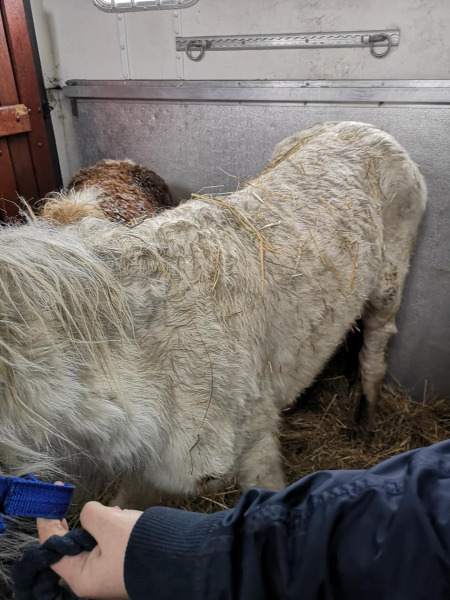 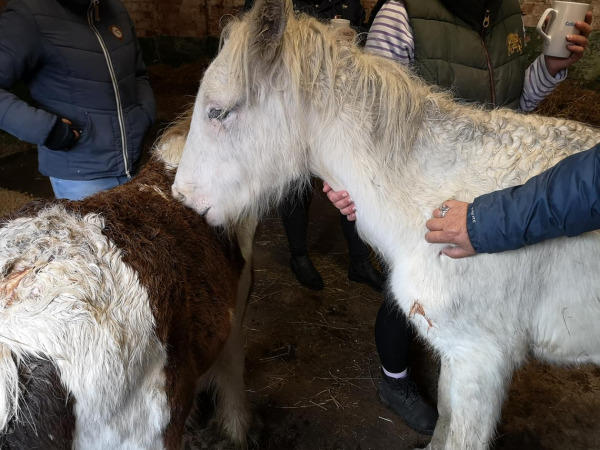 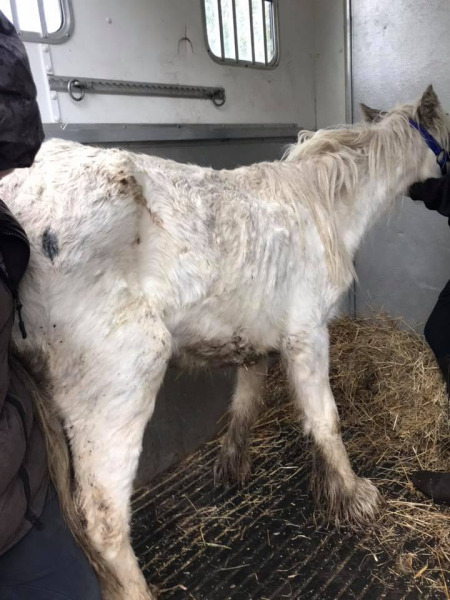 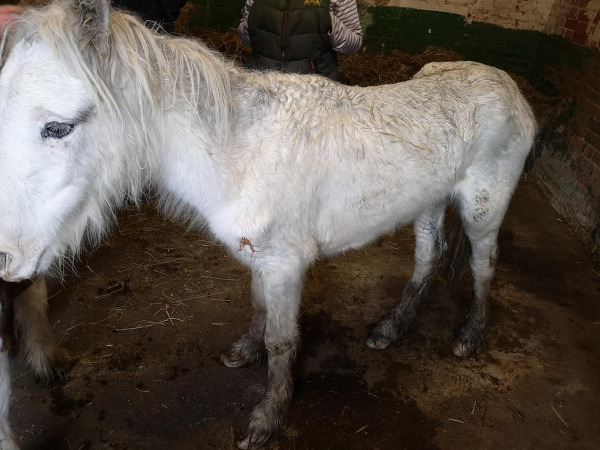 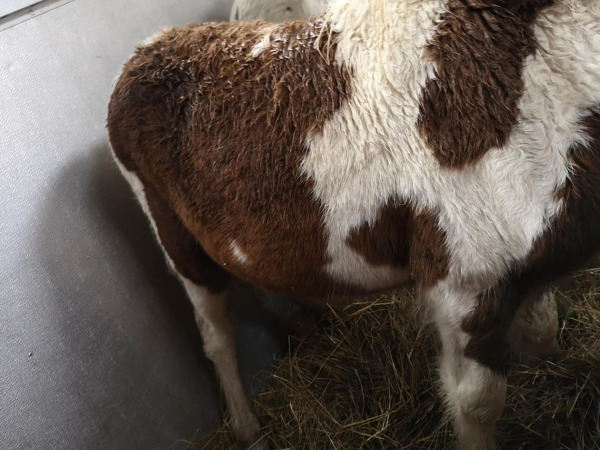 We recieved a call about 2 emaciated ponies on some private land in Kirkby, once we had spoken to the land owner and the police it became apparent that these ponies had been dumped. 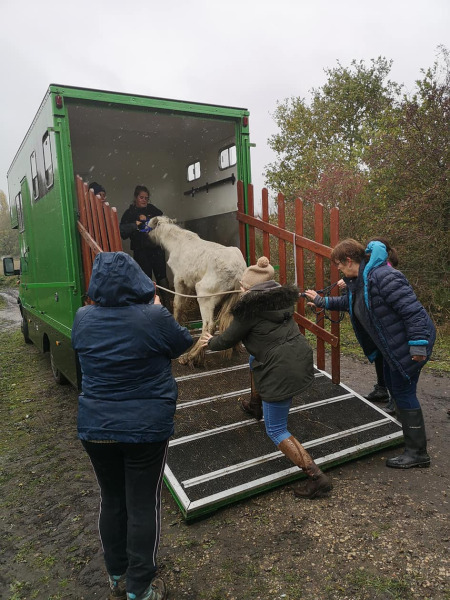 With the lorry loaded and the voluteers in tow we made our way to Kirkby. 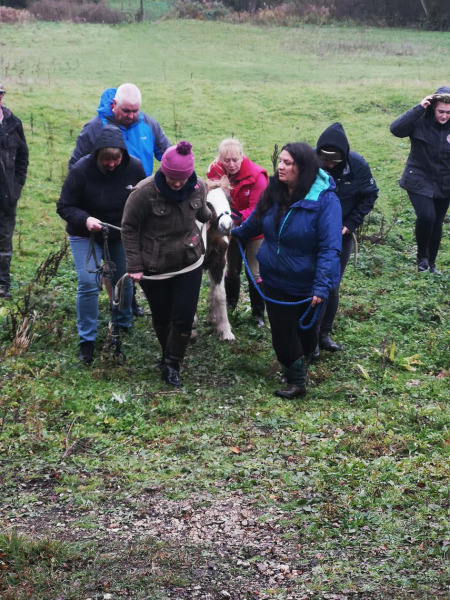 The sight we saw was not what we were expecting! 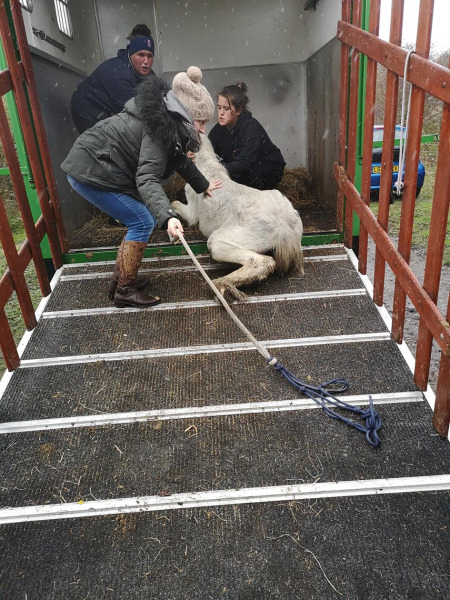 The little grey pony (Mayo) was loaded first and collapsed through exhaustion at the top of the ramp and then again once we manage to get him in the box. 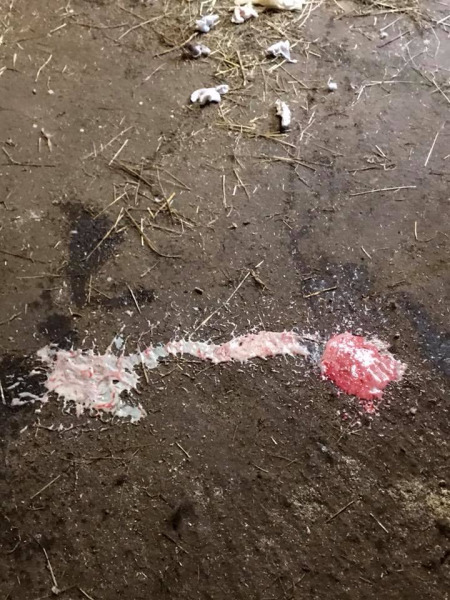 The little coloured (Ketchup) had a little more fight in him and he loaded with a little persuading. 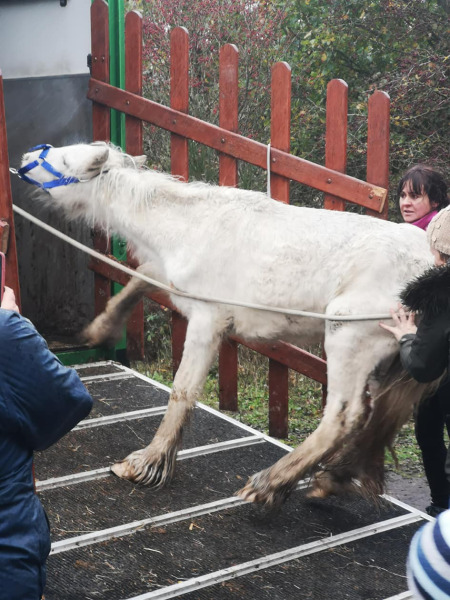 Not long after shutting the ramp Mayo managed to get to his feet and stood the whole way home. 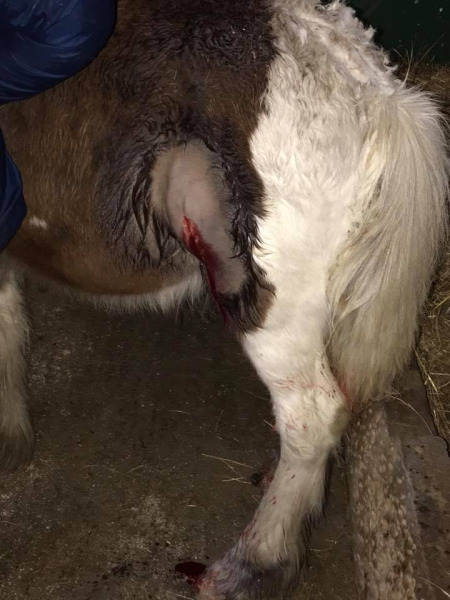 Arriving back at the farm we called the vet to come and see to the wounds and check them over. 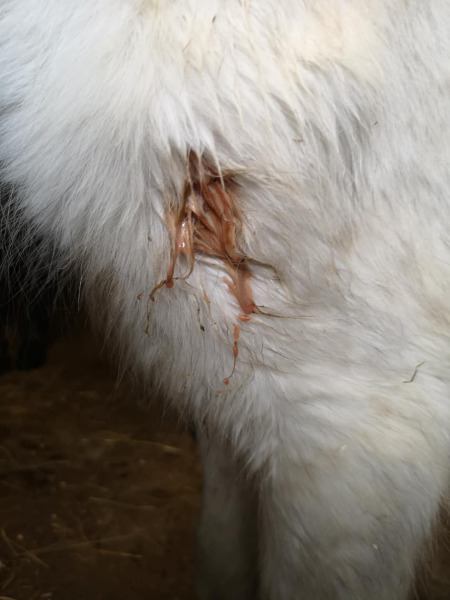 Mayo: horrendous body score, worse case of diarrhea we have ever seen and a wound on his left sholder. 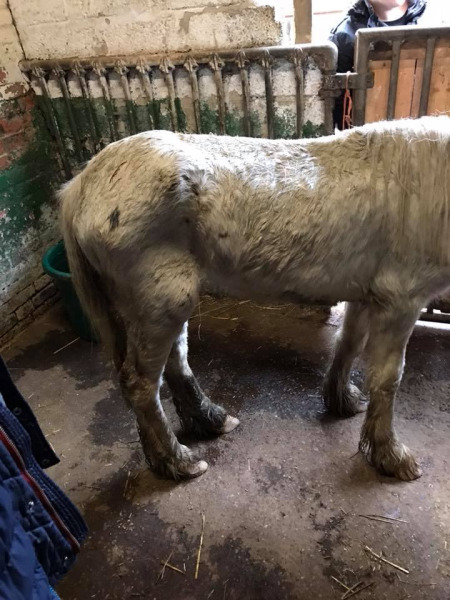 Ketchup: under weight but not as bad at Mayo, abscess on his chest, rump, under his dock and on his left side. 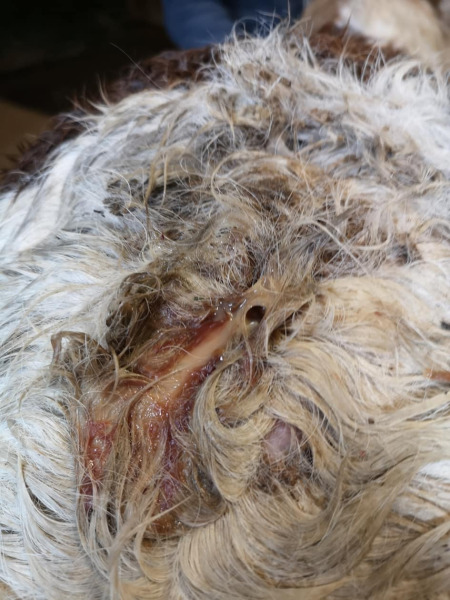 The abscess on his left side had to be drained by the vet. 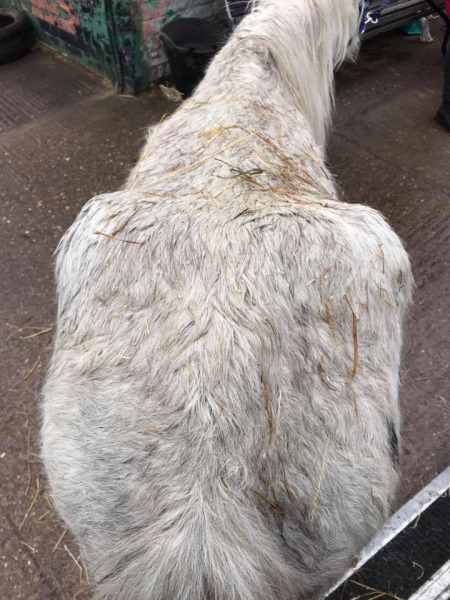 Both boys were given antibiotics for the infection and provided all the hay they can eat with a small warm dinner. 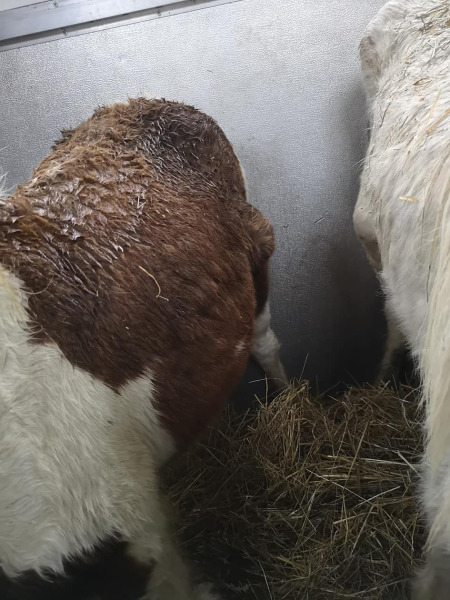 28/10/2018 - Both boys made it through the night! 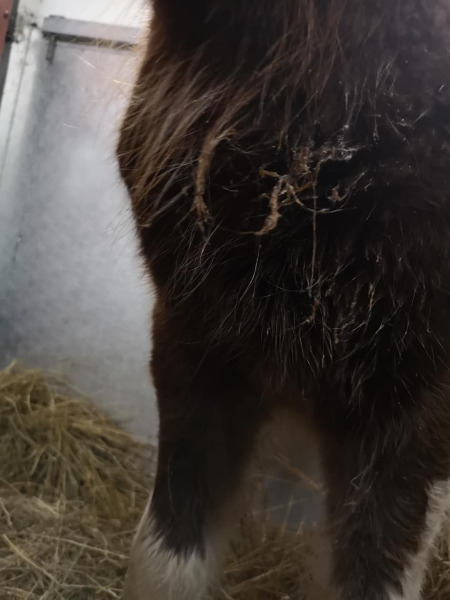 We cleaned all wounds and gave them their dose of antibiotics along with another warm mushy feed. 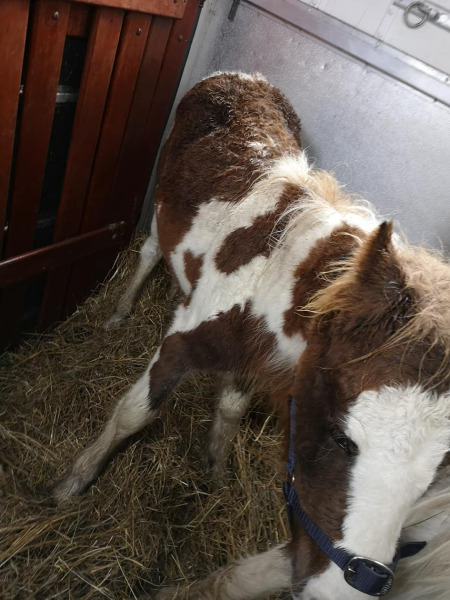 30/10/2018 - Unfortunatley Mayo wasnt strong enough to make it through another day, he passed away in a warm stable with food and water and his best friend Ketchup by his side. 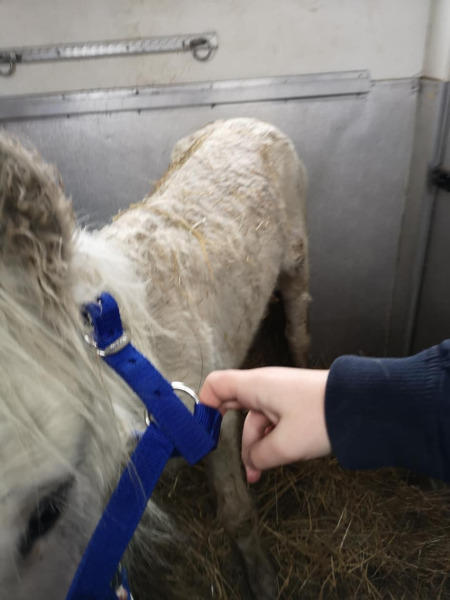 07/12/2018 - Its been a happy but emotioal day, Ketchup has gone to his new home after responding very well to his medication and putting on some weight.